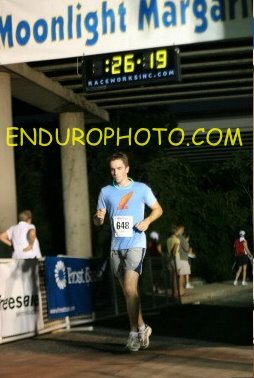 A few weeks ago I had a great night running my first 5K in Austin. Not that I'd been running very much, but a colleague and I decided to up and run in the Moonlight Margaritia Madness 5K. 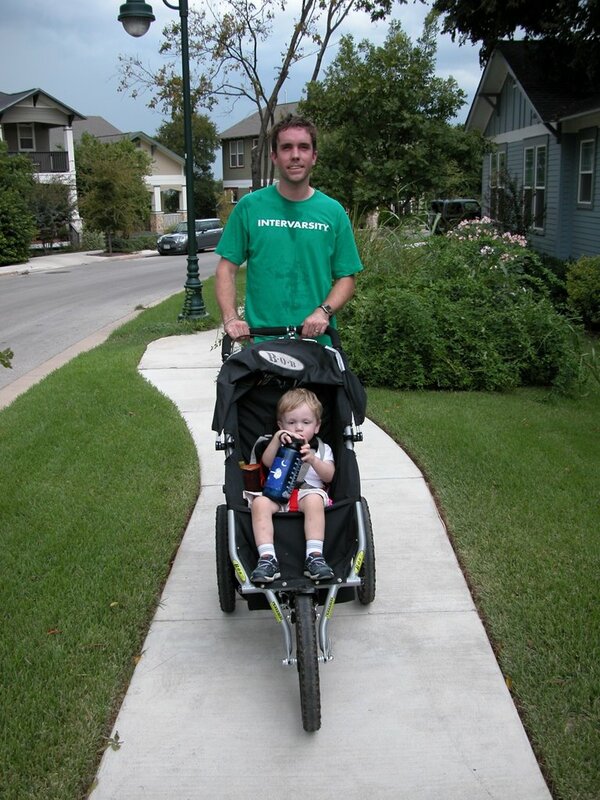 I couldn't hang with him the whole way, but did run a Personal Best. Of course, I hadn't run at all since then. Until this evening, when Aidan and I decided that we ought to spend some quantity time together. Update: Sort of cross-posted (this time, with more smack talk!) at the Mr. Davidson Competition Blog.